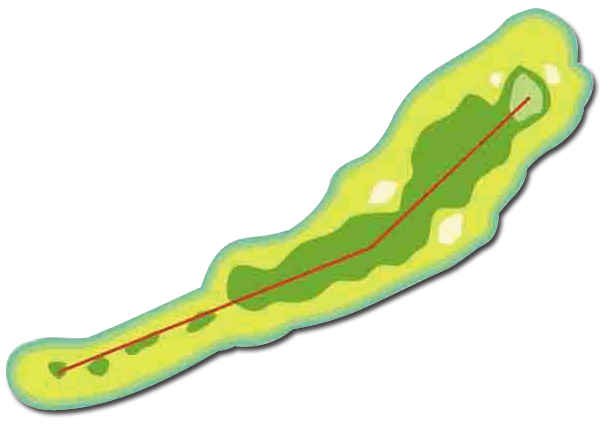 This green is designed to be simple, wide and not long for your warm up. Aim your tee shot at the palm on the left fairway to avoid the bunker 230 yards away on the right, Due to an uphill setting, you cannot see the flag pole location and as the green slopes down to the back with four bunkers on the front, you might think it is better to hit the back of the green on your second shot but beware of overshooting the green. This hole, with the hills on the left and a bunker 230 yards away on the right, is more undulating than the first hole, Aim your tee shot down the left side, there are no hazards around the green so you can be bold with your second shot to get there. 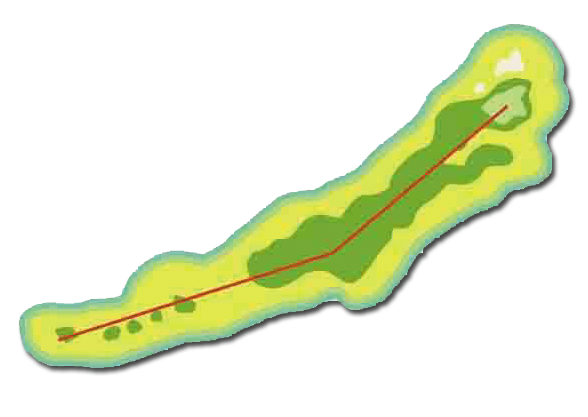 Because it is downhill, your tee shot should play 15-20 yards shorter or a different club can be chosen. Because the front right, right and back of the green are well guarded by the bunkers, your approach requires a demanding shot to the center of the green. 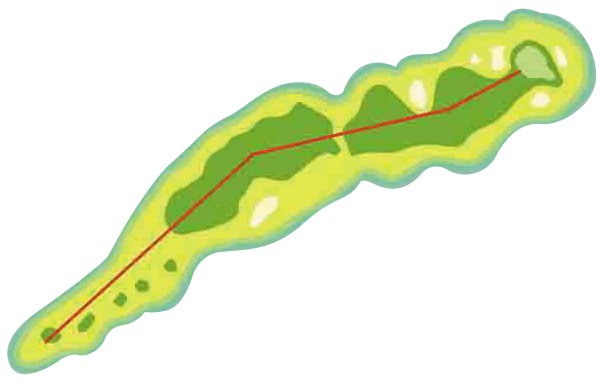 This hole is the most difficult and the second longest on the course. Because of the rough at the left side of the fairway to the green, aim your tee shot at the left side of the front two palms to avoid the bunker 200 yards away on the right side. Aim your second shot at the right of the green and hit a high ball to avoid the bunker on the front left of the green. Beware of overshooting the back of the green as this area is ‘Out of Bounds’. A dogleg to the left. 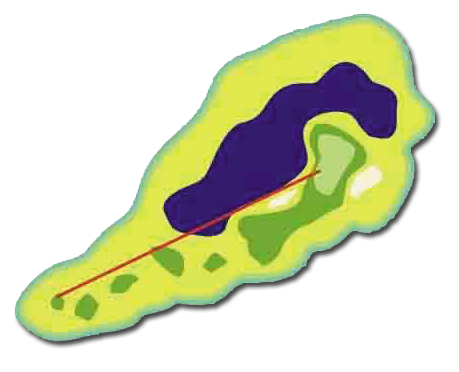 Because of the bunkers on the both sides of the fairway 250 yards away awaiting your arrival, playing straight and accurate into the center of the fairway is the way. Care is required for your second shot as the green is guarded by the bunkers on the left and back sides. A dogleg to the right. 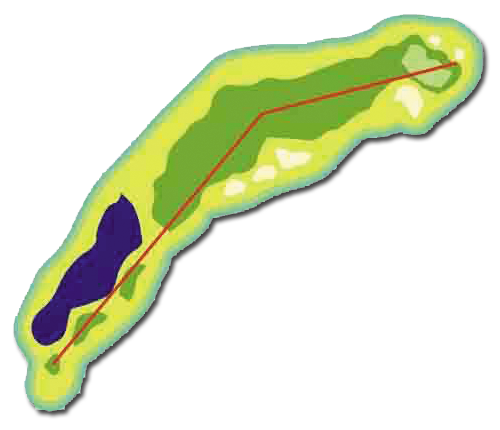 The fairway is protected by the pond for 150 yards along on the left and the rough from 170 yards away to the green. Even if you are good at slicing, beware of the three bunkers on the right side awaiting your arrival. Aim your tee shot at the concreted road ahead. 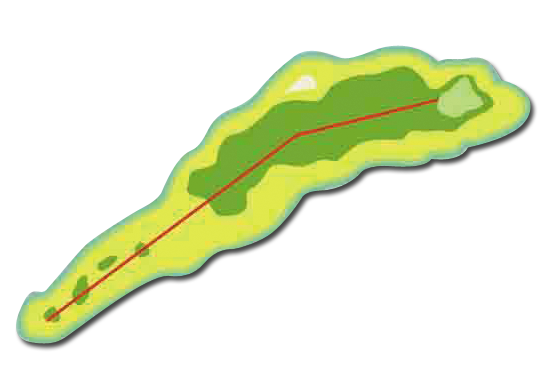 This hole slopes upward, so your second shot must carry 10 yards more. Off the tee, you are faced with the two bunkers on the front of the green. 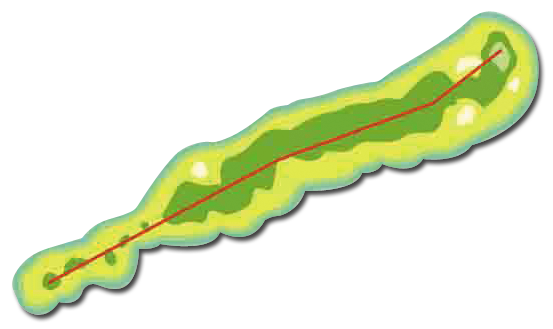 Even at just 190 yards, you cannot hit the green without adding power to your driving shot. 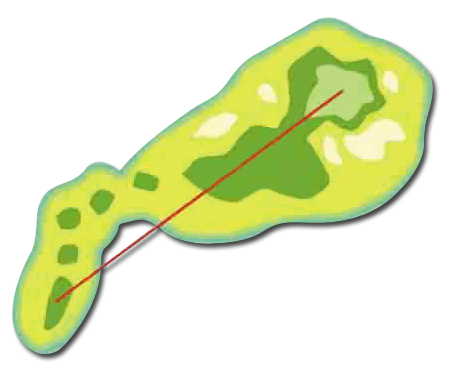 Because the right side of the green is elevated with the pond on the left, aim to the right side of the green of your best lie. This hole is longest on the course. Therefore, it is another time to test your long hitting. Aim your tee shot at the roof of the club house and beware of the bunker 220 yards away on the right side. Care is required for your second shot as there is a bunker 150 yards to the front of the green and the green is guarded by the bunkers on the front left, right and back. This hole and the 18th hole are located at either side of the clubhouse. Aim your tee shot at the four palms on the left and beware of the pond also on the left. Play your second shot over the pond and bunker on the front of the green but beware of playing too bold as this will put you on the back of the green which is ‘Out of Bounds’. 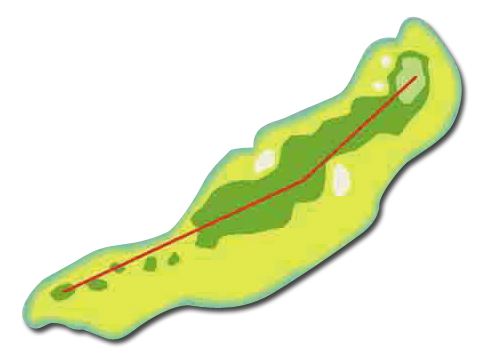 Also note, this green is difficult to hold as the front slopes away from the back. 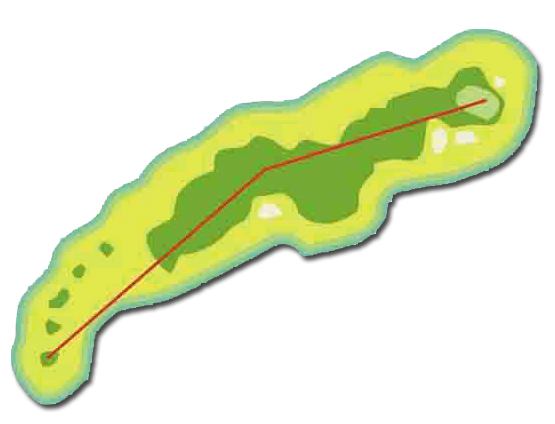 There are ‘Out of Bounds’ on the right of the fairway and the rough on the left to the green. With three big bunkers 200 yards away on the right side, this hole is downhill and not too long. Aim your tee shot at the left side of the fairway. 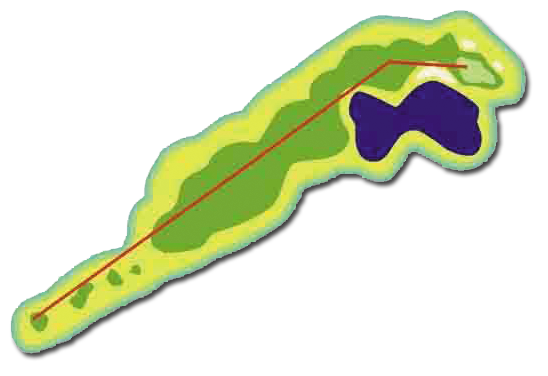 Undulating ground is a significant feature of this hole. Your approach to the green must keep away from the big bunker on the right side. This hole is slight dogleg left. Beware of ‘Out of Bounds’ on the right side, a bunker 230 yards ahead and a hill on the left. 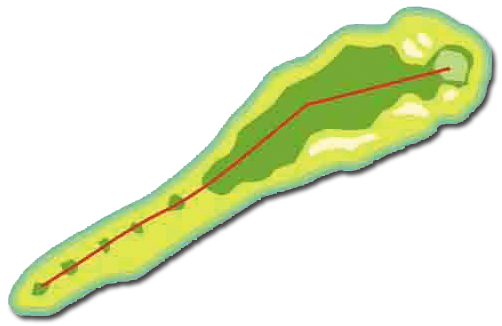 Your tee shot would be played over the right of the hill. 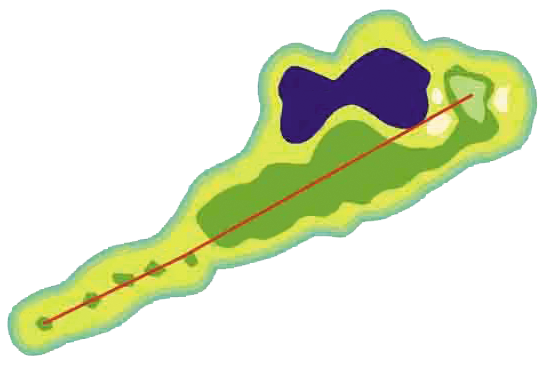 The safest play is to the slight left of the fairway on your second shot. The green is well guarded by the bunkers to the front, and either side, especially the 70-yard-long one to the right. This hole is a short play, but there are bunkers strategically placed around the green. 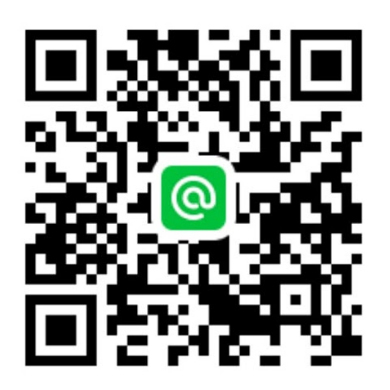 Club selection is very important after you see the pin position. The downhill lie is the best choice. Beware of ‘Out of Bounds’ on the right of the green and a bunker 170 yards away on the same side. Aim your tee shot slightly to the left. The undulating fairway makes for a challenging shot. Keep away from the bunkers on both the left, right and back of the green on your approach. Beware of the undulating ground. 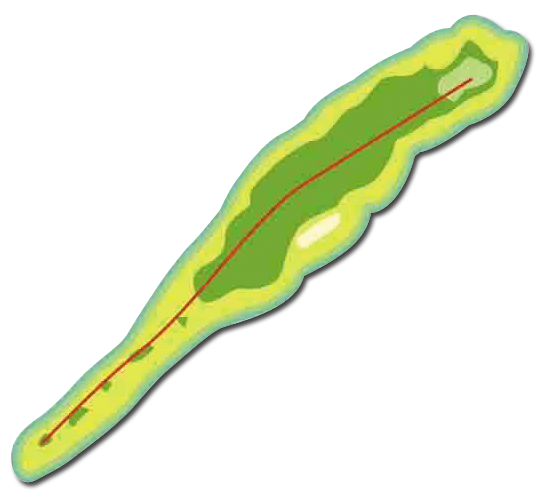 A dogleg to the left, for your safety, there is a lightening shelter near the teeing ground. This hole looks easy as only the mountainside on the right is ‘Out of Bounds’. 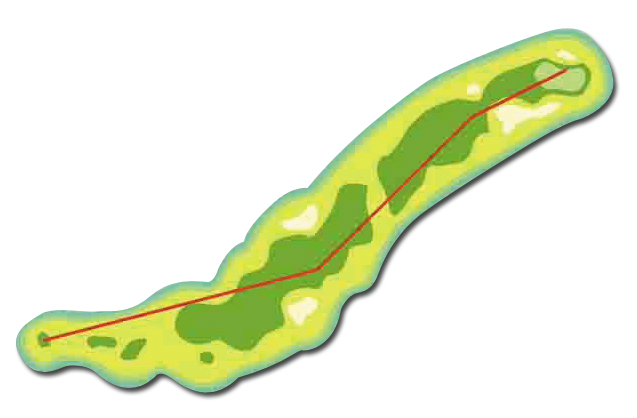 The prevailing wind against you with the contoured fairway makes for a difficult second shot. Viewed from the top of the tee, you might be worried that you cannot see the green. However, aim your tee shot between the two bunkers about half way down the fairway, then it will not be a problem to get on the green. 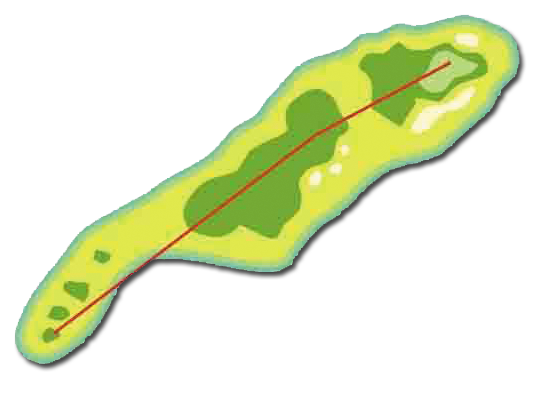 Be very careful if the flagstick is on the right side of the green and watch out for it slopes steeply. A dogleg to the right. Aim you tee shot slightly to the right. Off the tee, the left side of the fairway is protected by the bunker 250 yards away. Beware of the bunker on the front of the green, the back of which slopes away from the front. There is a pond from 50 yards away on the left of the fairway to the green. 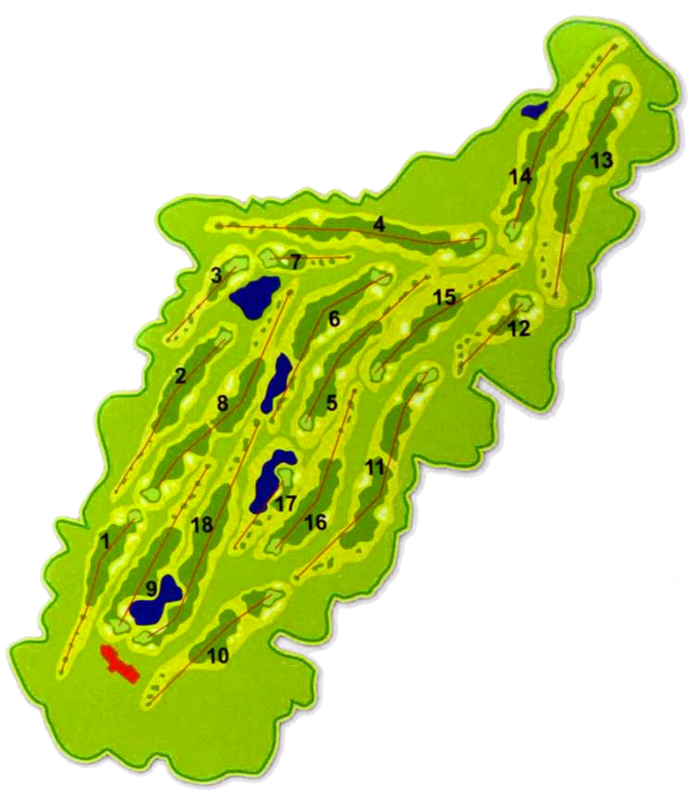 The green is guarded by the bunkers to the front and right, and the left side of the green is taken over by the ponds on the front and back. 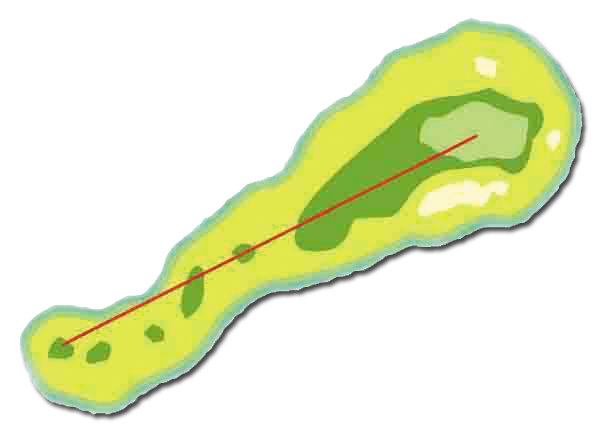 The ideal approach to the green is hitting a pitch shot. This hole is not too undulating but pretty long. You can be bold and play your first shot hard. The front of the green is protected by a long and rare Beach Bunker so the second shot must carry 250 yards at least to the left side of the pond as you must avoid the hazards, the lake and bunker. 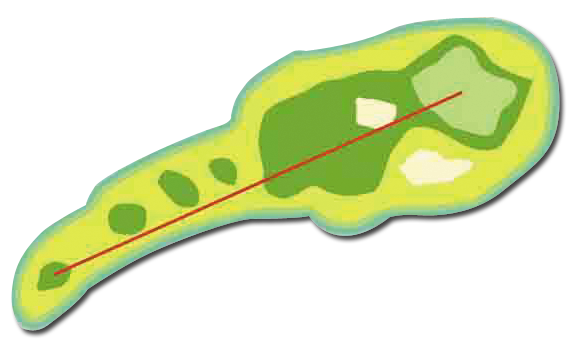 Then your approach to the green makes it easy to put the ball next to the flagstick and hence easier to grab a birdie.